Infectious diseases can be difficult to manage for patients with chronic diseases because of increased risks of interactions and adverse effects of treatments on the chronic condition. Many of such infectious diseases are preventable through vaccination. The European Patients’ Forum (EPF) is taking a lead on this topic, as information is key. To support the EPF activities on this subject, we worked together to create an infographic on vaccines. 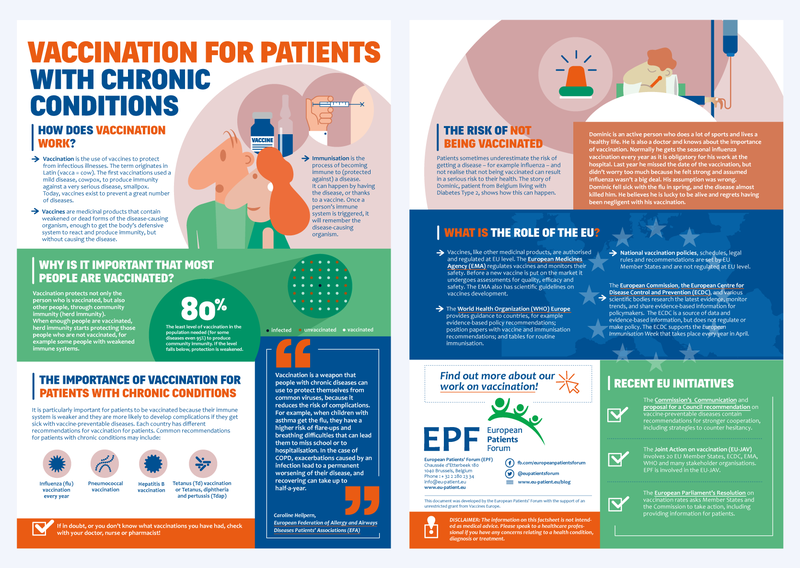 The infographic successfully introduces the importance of vaccines, the health risks from being negligent with vaccination and the important role played by the EU.